This is a sponsored post for Vive Health. I have been compensated for sharing it with you. All opinions remain my own and I was in no way influenced by the company. This week the case for our son’s feeding supplies and his formula was approved by the insurance company. We changed companies the first of the year and I began working to get the case set up with the new insurance company prior to the swap. Approval came almost exactly three months to the day after beginning the process. Why did it take three months? Many, as in more than four or five, well-intentioned people thought they knew how to take care of the case and it turns out they were wrong. How could so many people be wrong? Some were new and simply didn’t know the answer. Most had been at their job for a while but things had changed and no one bothered to inform them. Everyone I spoke to was trying their best to help. If you’ve never gone through this process before it may come as a surprise. Three months is actually not that bad to get everything in place if you’re changing insurance companies. Having a child with medical needs which require case management approval makes changing insurance companies complicated. Now that we’ve gotten through the process I feel comfortable sharing some tips on managing insurance companies, case management companies, supply companies, and frankly any large organization. In honor of Feeding Tube Awareness Week, I thought it would be interesting to share what it’s like to have a child with a feeding tube. Yes, there are differences in how we do things sometimes but not as many as you might think. Not every family’s experience is the same so there may be some significant differences between our routine and someone else’s. The first thing we do when our son wakes up is feed him. We have a schedule but it’s flexible enough we don’t need to wake him earlier than he’s ready to get up. He still drinks from a bottle even though he’s almost 2 years old because, typically, kids drink less when they transition from a bottle. Once he’s eaten as much as he wants we vent the air out of his tube. After, we feed him the rest of his food by gravity. We attach a syringe to his feeding tube without the plunger and pour his formula into the syringe. We allow his stomach to accept the food at whatever rate it’s comfortable and read books while he’s being fed. For most of this process, he sits or lays in my lap. We read two to three books during the remainder of the feeding keeping him relaxed and comfortable. We repeat the feeding process every three to four hours. February is Noonan Syndrome awareness month, so I would like to share some information about the condition I’ve learned through my journey with our son. It’s a genetic diagnosis. Our son was diagnosed in late 2015 through whole exome sequencing. There are characteristic facial features for Noonan Syndrome and a large head size is common. Many children with Noonan Syndrome need feeding tubes. Even if a feeding tube isn’t necessary they’re likely to need some kind of high-calorie drink or formula to supplement their diet so they can gain weight. Those with feeding tubes do have a reasonably high chance of outgrowing the need for one if they do not have an oral aversion. Finding someone to babysit for a few hours is both the easiest and the most difficult thing I’ve ever done. Whenever I mention to a friend or co-worker I need a babysitter they know a million and a half people who would LOVE the job. The excitement is palpable. They’ve clearly convinced themselves they know a 13-year-old whose minimally responsible enough to make sure a younger child in their care makes it through being babysat without a trip to the emergency room. Mothers frequently have a unique bond with their children. Something about being “Mom,” or “Dad” where he’s the primary caregiver, creates a connection with your child which cannot be broken. Mothers who adopt have it as well, as does anyone who serves as a child’s primary caregiver. The unbreakable tie between you and your child becomes stronger when your child has medical difficulties or special needs. It’s not that these caregivers love their children any more than anyone else. It’s a strengthening which increases the sensitivity of both Mom and the child to the connection itself. It’s as if you can feel your child’s presence through a sixth sense. Their emotions are as clear as day. Personally, I frequently become tired when my son gets tired even if he shows no outward signs of fatigue. If I take a nap while he’s sleeping, I wake up around the same time he does. It may sound like a bad idea to add another responsibility on top of an already agonizing workload. After all, managing a household is certainly plenty of work. Fortunately, many modern day conveniences allow for a household to still run well without sunup to sundown backbreaking labor. On top of that, many things people consider hobbies can be considered work if you’re good at them. Photography, painting, and writing are all legitimate careers. Is it going to pay your bills? Probably not, however if you enjoy your “work” then any money which comes from it is simply a bonus. Instead of a job it’s a break from the monotony. Is your child able to be taken care of by someone else for the same, or less, money than you would make working full or part time from home? If so you can work from home and be available for any emergencies which might come up. For example, my son’s feeding tube is the only thing a babysitter would encounter over an eight hour period. With a weeks worth of training, someone could easily learn to do that. 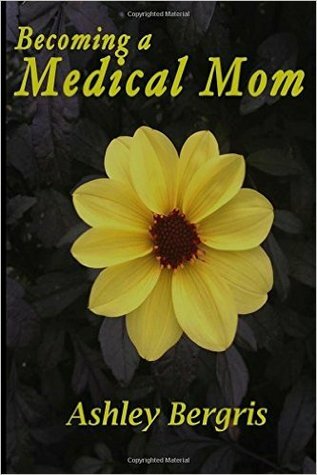 My book, “Becoming a Medical Mom,” is up for a giveaway on Goodreads. There are ten signed copies up for grabs, free with no strings attached. It’s basically a lottery system. As many people register as are interested. Ten of those will be selected by Goodreads and I’ll ship them a signed copy of my book. If you’d like to know more about the book, the easiest way is to click on the book’s title on the giveaway entry page. It was originally written with inexperienced medical moms in mind. However, I’ve been told informally that even veterans can gain some insight. I encourage you to at least check out the preview on Amazon.com if you’re on the fence. It’ll give you some insight into the topics the book covers. I linked to the physical book because that’s what you’re going to get if you win a copy in the giveaway. There is also a Kindle version. I truly believe this book is helpful and fills a gap which no one else has addressed. We’ve been through a lot with our son. He’s been admitted to the hospital a few times. We’ve been in and out of the ER to run tests only a hospital can run on short notice. So far we’ve come through with news that’s left plenty of room for hope. I’m terrified tomorrow’s going to be different. Now that we have a diagnosis, even though it’s a rare one, there are still going to be expected outcomes depending on how other children with the same diagnosis have developed. These expected outcomes could all be wonderful. There are certainly other children with the SHOC2 gene mutation which have had feeding tubes when they’re young and have come off of them as they’ve gotten older (you can find Facebook support groups even for very rare diagnosis). There is a lot of room for concern, however. One of the main sources of concern for any of the Noonan Syndrome or Noonan Syndrome-Like disorders is problems with the heart. We thought his heart was just fine, but he’ll have to be followed by cardiology to make sure that doesn’t change.